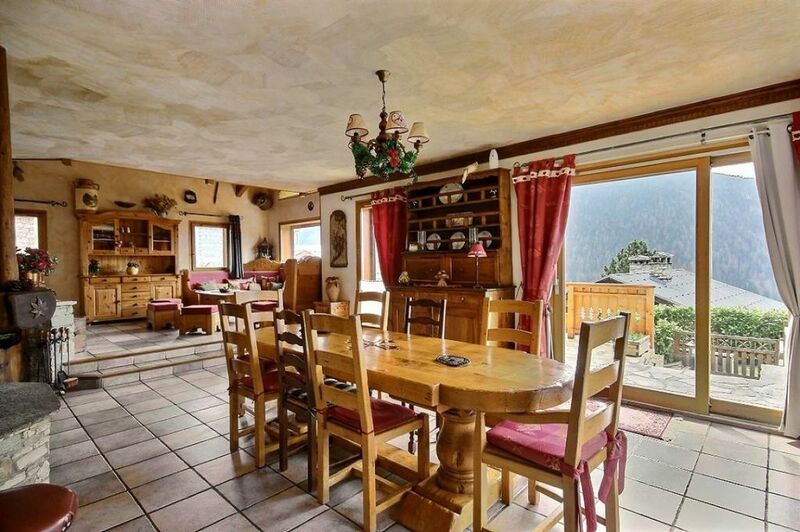 This spacious 192 m² house for sale in Séez would make a lovely all year round family home in the mountains. It has a big living area / dining area with a fireplace for cosy winter evenings and a fully fitted kitchen, 4 bedrooms, 1 shower room, 1 bathroom, 2 separate WC, a huge terrace with a big garden and a nice swimming pool. Downstairs, there is an independent apartment offers some 55 m² of habitable space with 2 bedrooms, an open plan living area with a fully fitted kitchen, 1 bathroom, separate WC and a big double garage with storage space. The house was build in 1998. All the facilities of Séez are only a 5 minute walk.